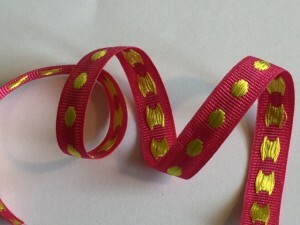 Our Woven Jacquard Ribbon (Stitched Ribbon) are made of narrow tape weaving looms. 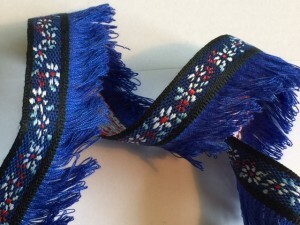 We offer a wide variety and high-quality woven jacquard ribbons. 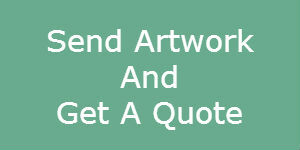 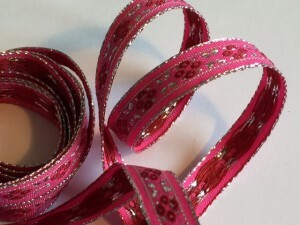 All our ribbons are tailored made to your design artwork. 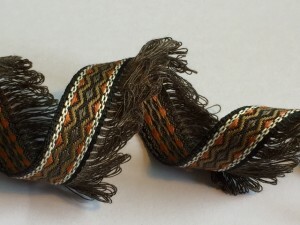 There are three types of weaving looms to produce jacquard ribbons: broadloom, needleloom, and narrow tape loom. 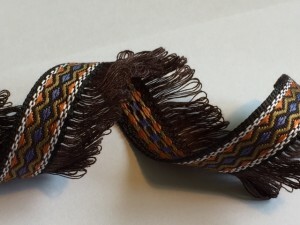 Jacquard loom produce the most beautiful woven jacquard textile ribbons. 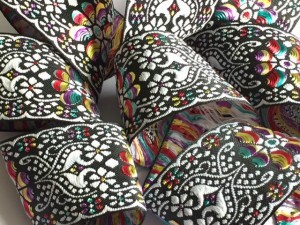 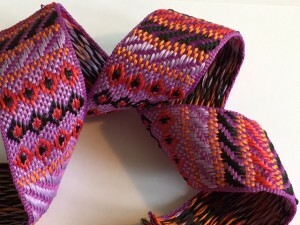 Our jacquard ribbons are often used as trimming and accessories to add to garments and home décor. 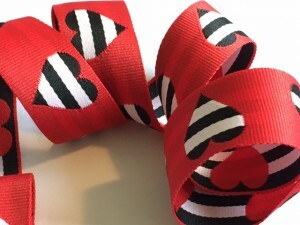 Shop our collection of ribbons for dressmaking, cushions, curtain and furnishing accessories. 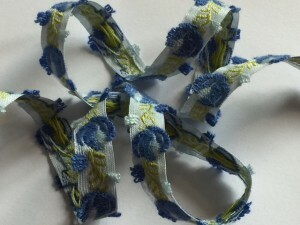 Woven jacquard ribbon material: polyesters and cotton weave. 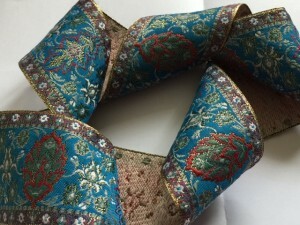 Fashion is an essential part of our culture, constantly changing and adapting decade after decade. 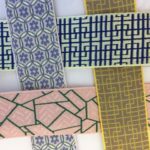 The smaller, more boutique labels becoming popular, which is great for smaller fashion businesses looking to break into such a diverse market. 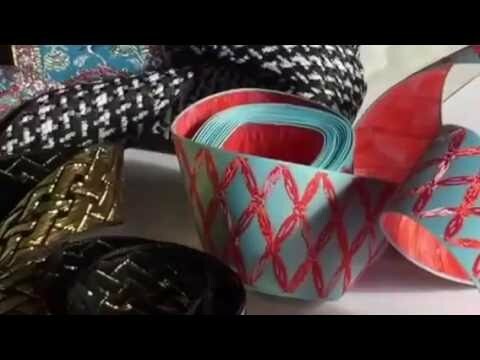 The efficient and cost-effective way of helping your brand stand out is to create a stylish woven jacquard ribbon for your clothing line. 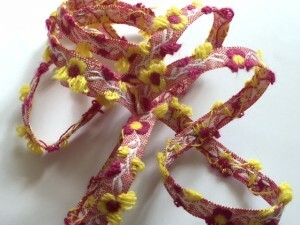 The design of woven jacquard trimming is increasing in popularity – especially for exciting fashion brand. 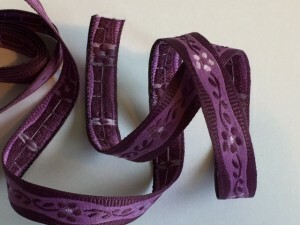 Whether you are planning on starting a dressmaking project or are looking for jacquard ribbon with which to decorate your home, there’s always something here for everyone. 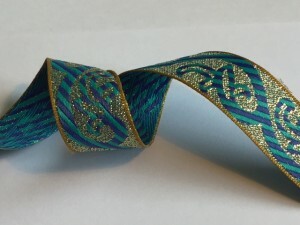 Glimmer solids woven jacquard ribbons are lovely and work great for any of your projects. 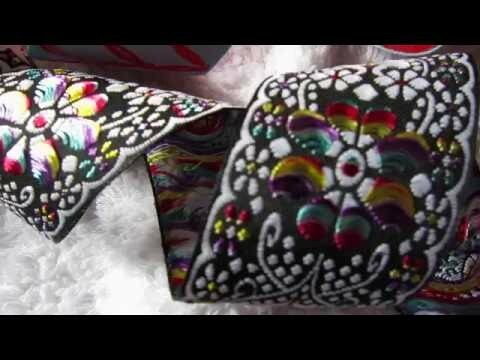 From quilts to garments, to bags, accessories, and many more purpose uses. 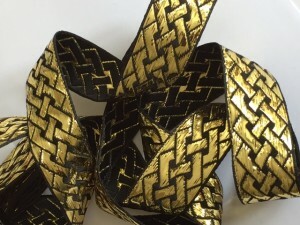 Contact our design team, we will guide you through the variables to achieve a perfect look for your custom woven jacquard ribbon.